ATLANTIC CITY, New Jersey (WABC) -- New York Giants linebacker Jonathan Casillas was caught on camera fighting off security guards at an Atlantic City casino. 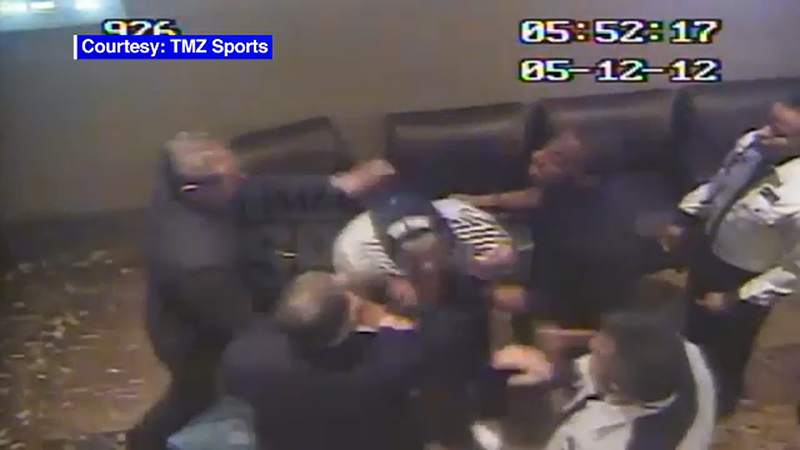 The brawl happened back in 2012 at Harrah's Casino but the video has just surfaced. Security confronted Casillas after he threw a potted plant outside the casino. It took five men, including two Atlantic City police officers, to take Casillas down. It's not clear whether he was charged with anything.